Staff Selection Commission (SSC) Recruitment 2017- Combined Graduate Level Examination (CGL), 2017: Last Date 16-06-2017. - Jobs4NE : Jobs in Assam and North East India. Staff Selection Commission (SSC) Recruitment 2017- Combined Graduate Level Examination (CGL), 2017: Last Date 16-06-2017. 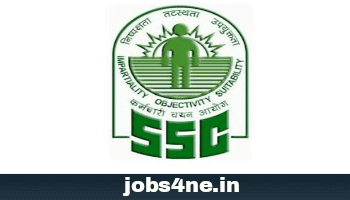 Staff Selection Commission (SSC) invites applications for the post of Combined Graduate Level Examination (CGL), 2017 for below mentioned vacancies in different categories of posts in various Ministries/ Departments/ Organisations. Advt No. : 3/4/2016–P&P-I. Last Date of Online Application: 16-06-2017. Last Date of Application Fee by Challan: 19-06-2017. Total no of Vacancy: Not Specified. Name of the Post: Combined Graduate Level Examination (CGL), 2017. 13. Inspector of Income Tax. 29. Senior Secretariat Assistant/ Upper Division Clerk. For Assistant Audit Officer/ Assistant Accounts Officer: Bachelor’s Degree from a recognized University or Institute OR Chartered Accountant or cost & Management Accountant or Company Secretary or Masters I Commerce or Masters in Business Studies or Masters in Business Administration (Finance) or Masters in Business Economics. For Junior Statistical Officer: Bachelor’s Degree in any subject from a recognized University or Institute with at least 60% Marks in Mathematics at 12th standard level: OR Bachelor’s Degree in any subject with Statistics as one of the subjects at degree level. For All other Posts : Bachelor’s Degree from a recognized University or equivalent. Age Limit: As on 01-08-2017, minimum 18 years & Maximum 27 years age for Group-C and minimum 18 years & maximum 30 years for Group-B. Upper age relaxation for SC/ ST Category is 5 years, for OBC-NCL Category is 3 years & PH Category is 10 years. For posts 1 to 23: Pay Band- II, Rs.9300- 34800/- (pre-revised). For posts 24 to 32: Pay Band-I, Rs. 5200- 20200/' (pre-revised). Selection Process: Selection will be made based on Computer Based Written Examination Tier-I, Tier-II, Descriptive Test & Skill test. Application Fee: Rs. 100/- through net-banking/credit cards or debit cards or cash through SBI bank challan. Women/ SC/ ST/ Ex-Servicemen are exempted from paying of application fee. How to Apply: Interested candidates may apply Online through SSC website: http://ssconline.nic.in OR http://ssc.nic.in.